The Year 8 camp takes place in early December and is a week in duration. This year the year 8 students will have the opportunity to attend the Roses Gap Recreation Centre. 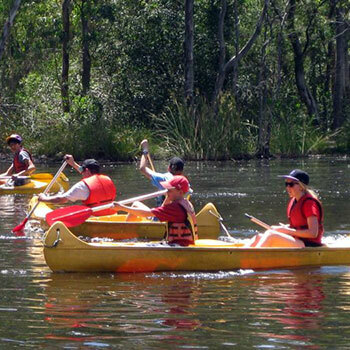 This centre is an adventure school camp for groups looking to experience exciting outdoor activities, excellent food, friendly staff and a fun atmosphere all on a stunning property at the foot of the Grampians National Park mountain ranges in Victoria. All students will have the opportunity to participate in a range of activities including: Abseiling, Canoeing, Giant Swing, Vertical Playpen/Pamper Role, Rock Climbing, Briggs Bluff Hike and the opportunity to volunteer on an overnight campout. All food at the camp is provided and transport to and from the camp is by bus.